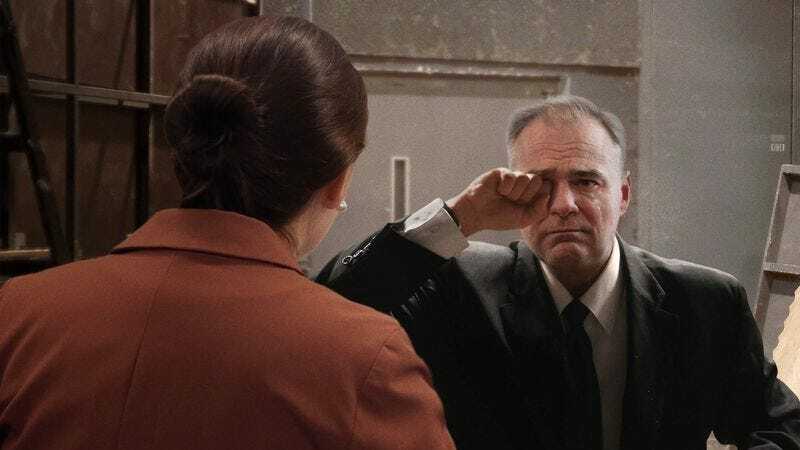 FARMVILLE, VA—Calling out her name while frantically searching the theater’s wings, a tearful Senator Tim Kaine was reportedly wandering around backstage before the vice presidential debate Tuesday asking if anyone had seen his running mate, Hillary Clinton. “Did anyone see a blond lady who is running for president? I can’t find her,” said the clearly distressed Kaine, who explained between sobs that he had grabbed a woman’s hand in the backstage area before realizing that it didn’t belong to the Democratic presidential nominee. “She was right here a second ago. Where’d she go? When I came back from that room that has cookies and water in it, she was gone. Oh no, do you think she forgot all about me? I really want her to come back.” At press time, moderator Elaine Quijano was making an announcement over the public address system to inform Clinton that Kaine was lost.